I made this pocket tag using scraps. 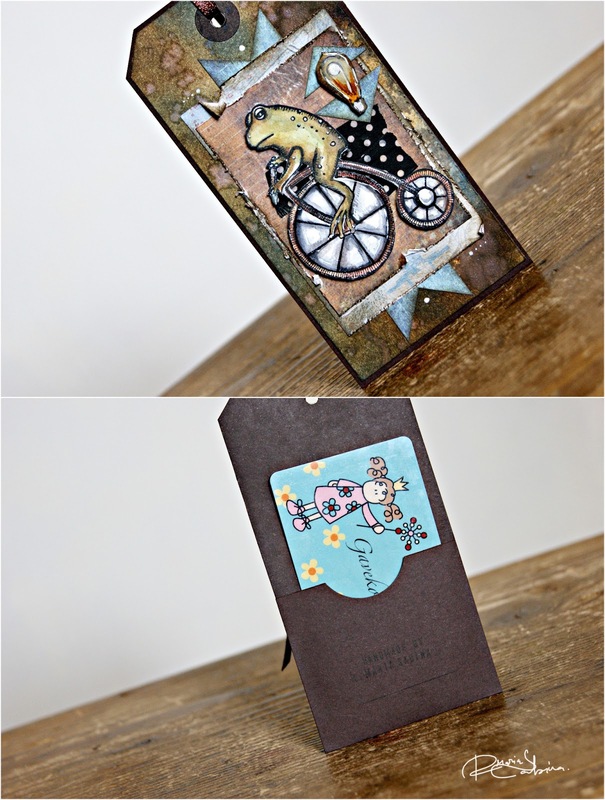 I also used Old Timey Frog stamp from Stampotique. Come and play along with us. You can win a great prize. Have a wonderful day! Sorry ! It's been a while , but I am a bit busy! I am back today with a mini project. I made some flowers the for the new challenge on T.H's blog. 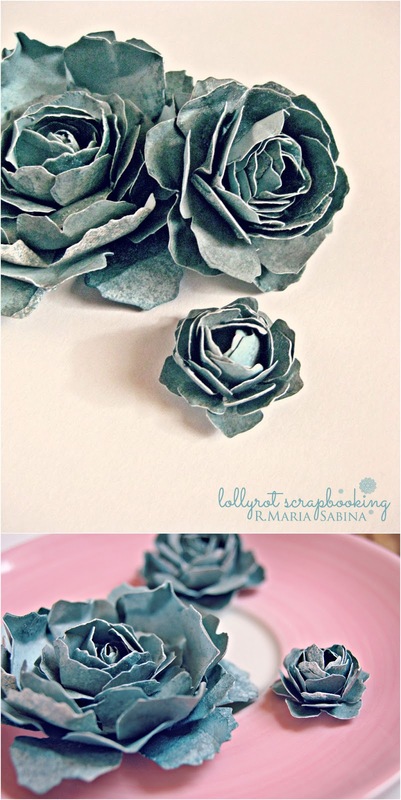 The main rule is to use the Tattered Florals﻿ die from Tim Holtz. I have no glimmer mist or stuff like that. So I make my own spray using ink and food coloring. Love it! Hope you like my flowers. If you have any question ,please leave a comment below. Have a great day! What a dizzy morning! 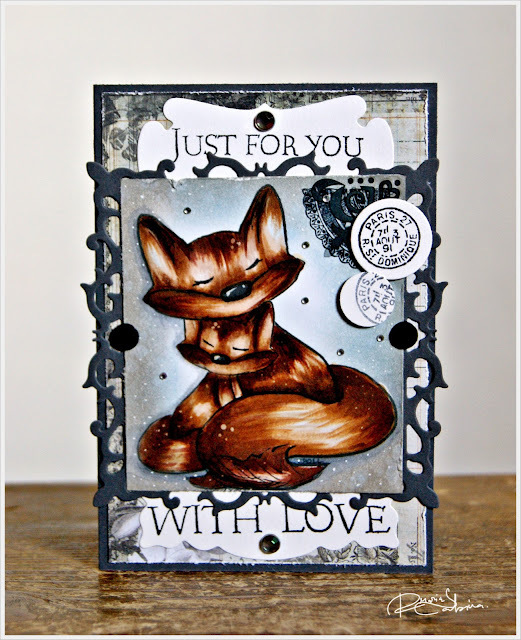 It's time for a new creation and challenge over at Tiddly Inks Challenge blog. Check it out ! For the card below I used My wild child digi design from Tiddly Inks . Come and play along ! If you have any questions, please leave a comment below. Thanks! It's been a long week. I just want to relax today , eat something sweet and watch a good movie. I've been working on a baby girl project. 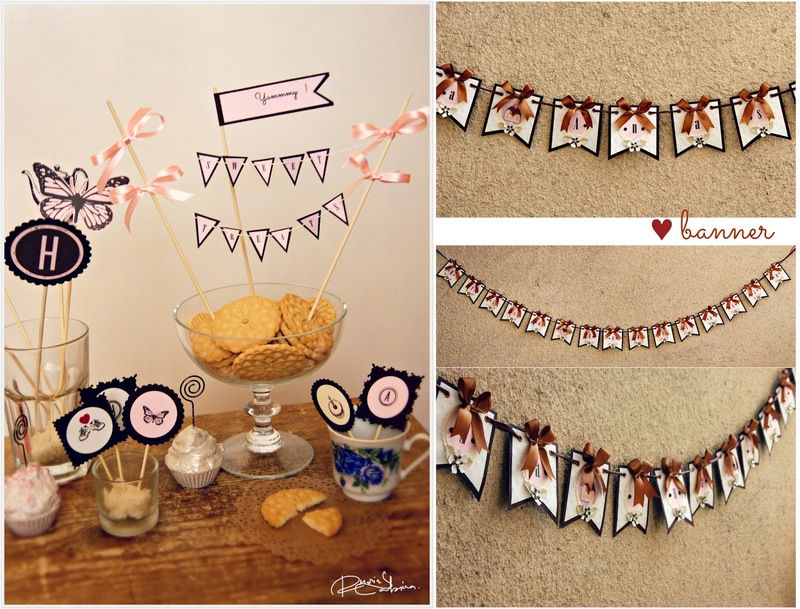 Banner, toppers and other small bits. I had so much fun making the banner. It took about 6-7 hours and is 10.33 feet long. Please let me know if you have any questions in the comments below. Thanks for stopping by. Have a great day! I'm back with a new crafty creation today . This is for the new challenge from Stampotique Designers Challenge: Winter Whites. I had so much fun making this project. So make sure you come along and play with Stampotique. I used Love Birds stamp from Stampotique. Check them out over here! Back to work now. Busy days. Have a wonderful day! Do you like Tiddly Inks designs? If so, then please check out the new release over at Tiddly Inks blog. Clear stamp, digi stamps, you name it! I used two clear stamps and a digi design. Grow Old Friends clear set, Stylish Friends clear set and Everyday Magic digital design. Hope you like the cards as much as I do. Have a wonderful day! What a beautiful morning! Sunny day! I have a new project to share . 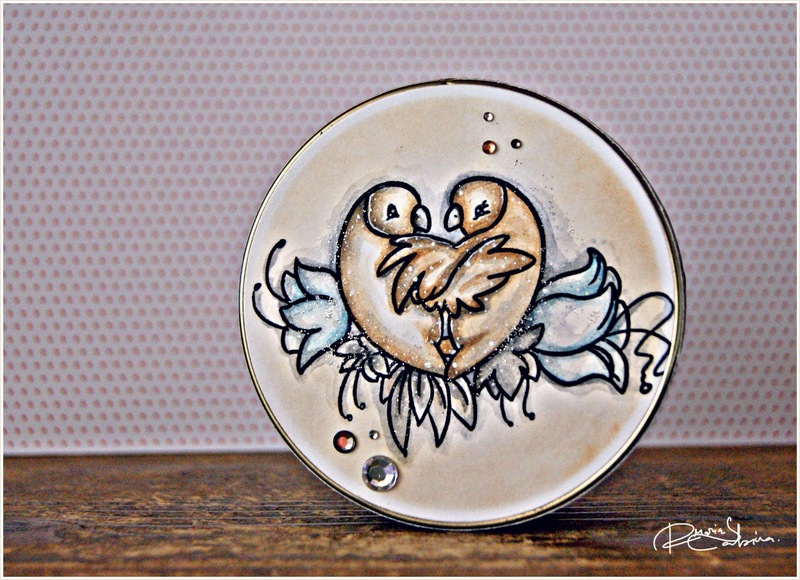 There's a new challenge on Tiddly Inks Challenge blog called: Love is in the air. For this challenge I made a tag using Wryn- grow a little love digi stamp. Make sure you check out the challenge and play along. So much fun! Have a great day! I am back with a new project. Oh well it's more like an old idea but new creation. I made a mini typewriter. I take notes almost everyday. So I had to make a nice holder for my notes. It took a while because I don't work with templates ( oh well 99.9% of my time I don't use templates). I really love it! So proud of my new toy! Here is some extra. My sister asked for some nice , elegant and not too fancy wedding glasses. She loved it. That's all. Have a wonderful day! Finally the sun is out! Today's Fabulous Inky Friday over at Tiddly Inks Challenge. For this day I made an ATC card using Wryn Joy Ride from Tiddly Inks. 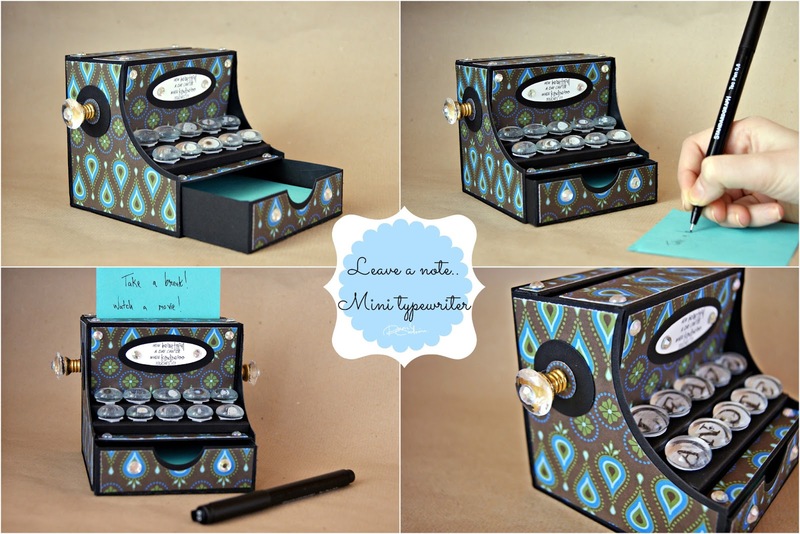 Check out the giveaway on Tiddly Inks blog. Thanks for stopping by. Have a wonderful weekend!